I went to the countryside of Kyoto last weekend and collected around 10 stag beetles with my son. I hadn't done the beetle collecting for long. 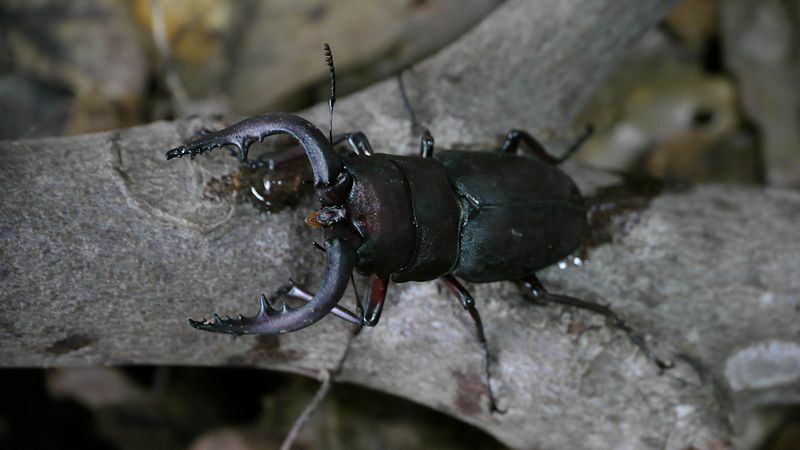 When I was a school boy, I would went into the neighbor forests and mountains to get beetles and stag beetles. It was one of the most exciting summer pleasures for Japanese children. But this time, actually, I didn't expect I managed to get that many. It was nice that there is still good environment for those insects to survive near such a big city like Kyoto. Some of the beetles are now at the lobby of J-Hoppers Kyoto hostel. If you are interested in, please come and see! I will tell you next time I go. My father knows more than me about where in Kyoto they live. I will ask him later on.